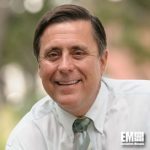 Mark Peters, formerly associate director of the Argonne National Laboratory’s energy and global security directorate, will join Idaho National Laboratory as director on Oct. 1. INL said Thursday Peters will succeed John Grossenbacher, who also serves as president of Battelle Energy Alliance, the Battelle-led group that manages INL for the Energy Department. “Mark’s recognized leadership in all fields of energy research — including energy storage, renewable energy, energy efficiency and nuclear energy — and national security makes him an ideal choice as the next lab director of INL,” said Ron Townsend, chair of BEA’s board of managers. Peters’ specializations include nuclear fuel cycle technology and nuclear waste management, and he is an active member of the American Nuclear Society. He has completed the Strategic Laboratory Leadership Program at the University of Chicago’s Booth School of Business and received his geophysical sciences doctorate from the same university.